GUIDE: Getting started with BattleTech. Open Tech / Help forums for computer/hardware/software/game issues. I was talking to Black Tribal the other day on comms about getting into BattleTech, and what was needed. So for those of you who are new to BattleTech, this is a guide to help get you started into BattleTech and let you know what you need to get started, and what would be the best products to get if you wish to continue. If you have not already done so, I would recommend first checking out the "BattleTech: Quick-Start Rules". It is a free downloadable PDF provided by CGL to introduce players to BattleTech. It contains the very basic rules to play BattleTech, a small map that can be printed, some counters for mechs and vehicles that can be printed out, and some printable record sheets. It is a very dumbed down version of BattleTech intended to ease a new player into the rules of Classic BattleTech, there are no critical hit rules or any of that fancy jazz you hear us CBT players talk about while playing MWO. If you were to pick up a BattleTech boxed set (BattleTech 4th Edition and beyond) they have the quick-start rules and a separate rule book for the basic rules of BattleTech. If you like what you see in the BattleTech: Quick-Start Rules, then for your first product I would recommend getting a copy of the "BattleTech: Introductory Box Set". You can usually pick it up for about $60USD. The BattleTech: Introductory Box Set has everything in it to get started playing. It has two card-board maps that come with different maps printed on either side, 26 unpainted plastic miniatures, a record-sheet book for the miniatures provided, a rule book (that has even more advanced rules than the quick-start-guide), a book that gives you some background on BattleTech and the Inner Sphere, and a few other items as well. With the BattleTech: Introductory Box Set, I would also recommend Solaris Skunk Werks. Solaris Skunk Werks is a free third-party program that can be used to customize mechs and print out Record-Sheets of them for BattleTech. Solaris Skunk Werks also has other tools with it for creating vehicle record-sheets, and making unit rosters. The official software for making Record-Sheets is "Heavy Metal", unfortunately the official software is severely outdated for the new rules and equipment that has been introduced over the past decade. I do not have a problem with supporting Rick with his official projects (I have bought all the Heavy Metal software), but as of right now it is just badly outdated when compared to Solaris Skunk Werks. After you have gotten a real good taste for BattleTech with the BattleTech: Introductory Box Set and you wish to continue with BattleTech, I would recommend getting "Total Warfare" which is the advanced rulebook for BattleTech. "Tactical Operations" and "Strategic Operations" complement Total Warfare by expanding even further into the advanced rules of BattleTech. "Interstellar Operations" picks up the old OOP BattleSpace rules. It takes you into space jumping into a star-system and going head-to-head with your WarShips and JumpShips, and finally detaching your DropShips from your WarShips and JumpShips that have survived and trying to make planet-fall as they dodge orbital-cannon fire and Aero-Space Fighters, and finally the lucky survivors land on the planet to fight the other BattleMechs and forces waiting for them planet-side to conquer the planet. For doing the ultimate Classic BattleTech campaign Interstellar Operations is a must, but not a necessity to play Classic BattleTech. Alpha Strike and Alpha Strike Companion is a stream-lined version of Classic BattleTech. It does not go into the level of detail that Classic BattleTech rules gets into, but allows for you to quickly play large-scale campaigns where you have battalions of BattleMechs (and other units) facing each other on the battlefield. It should also be noted that Strategic Operations is sort of the bridge work between Total Warfare and Interstellar Operations before Interstellar Operations was released, and was used to introduce a fresh copy of BattleForce rules before Alpha Strike had come out. Because of the stream-lined rules and quicker game pace some players prefer the Alpha Strike rules over Classic BattleTech rules. For getting your Alpha Strike Cards (Record-Sheets), visit www.masterunitlist.info, they are freely provided for Alpha Strike. For expanding into Classic BattleTech you will be interested in the Scenarios, Technical Readouts, Sourcebooks, Map Sheets, Minatures, and more. The Scenarios help set up specific battles and campaigns from the BattleTech lore. Scenarios give all the information needed to play out a historical battle in BattleTech, listing the units used maps needed, and all the other rules and information needed to set up the game. Scenarios are good to get as they set your games up to partake in the official lore of BattleTech. The Sourcebooks give large insight upon erras and factions of BattleTech, as well as events that have taken place in the lore. Sourcebooks are not a necessity, but are greatly valued for thier information for the serius BattleTech player. Some source-books in the past have introduced (or re-introduced) new equipment and units to the game, and were needed for the rules given upon the listed equipment and rules. Most of the rules that were scattered about an entire library of the older sourcebooks and rulebooks have been rolled up into the convenient one-stop rulebook Total Warfare. 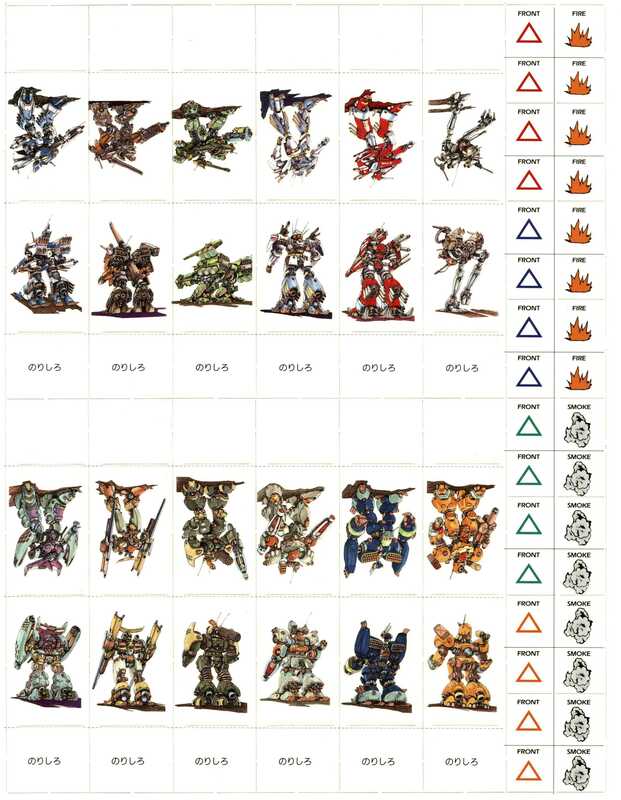 Thechnical Readouts hold the information upon BattleMechs and other units used in the game. They give detailed information about their load-outs and configurations, information about how these units came about who had them and even who manufactured what on them. They further go into detail giving foot-notes to notable stories about them like battles they fought in and some of the famous pilots who used them. Technical Readouts are not a necessity, however you may need them for the load-out information found in them to make your Record-Sheets. And for the serious BattleTech player, TROs are just flat out good-reading. There are usually Record-Sheet packs that go along with the TROs so you do not have to compile your own Record-Sheets. Other than for collection purposes, I would only recommend getting a hold of the PDF versions of these Record-Sheet packs, it makes their usage much more practical for printing out Record-Sheets for playing with. The main TROs have just the date/erra listed on them, through the years some of these have been revised for their re-prints. The "Upgrade" TROs list older units that have be revamped with newer technology, most of the Upgrade TROs take place in the Jihad Erra of BattleTech. The X-TROs (Experimental Technical Readouts) list units that were experimental models many of which were rare in the BattleTech univers. Map Sheets and Map Packs are getting harder and harder to find as most players are making more and more of their own custom miniature terrain sets to play on. Depending upon what your doing, map-sheets can be a necessity to play some of the scenarios, it is also a good way to get a good collection going for playing materials. Unfortunately allot of the maps are OOP and getting harder and harder to come by. Miniatures are not a requirement for playing BattleTech, which is what makes BattleTech a great game to get into. Only when your a Rep playing at sanctioned BattleTech/CGL events do you need to use the "Official" BattleTech miniatures. The serous players have their collections of miniatures for playing with, and chances are if you get past the Introductory Box Set you are going to start squiring your own collection of miniatures as you go. You can find the older OOP miniatures on ebay, as well as some good deals on collections/sets from players who are getting out of BattleTech. You can even find some custom miniatures made up to look like the MWO models on ebay. For getting new miniatures you can find many sources/shops online as well as some of your local game shops (too many to list). The manufacture of the official BattleTech miniatures is Iron Wind Metals, and they do sell the minis directly from their website. Understand that there have been several scales of miniatures used for BattleTech and its related merchandise. - There are some extremely large mechs out there that are called "Museum Scale" mechs, they are not meant for playing but rather a display piece. - In the early days of BattleTech there were two size scales the larger scale that never took off. I forgot what the actual size was, but they were slightly larger than what we use now for Classic BattelTech. These minis are OOP and are primarily a collectors item. - The official scale that took off for Classic BattleTech is 1:285 or 6mm. And is extremely close to the Z scale for trains and miniatures, and can be easily mixed with stuff from the Z scale for gaming purposes. - There is also the scale used for BattleForce (Alpha Strike), which is smaller than the CBT scale to field significantly larger numbers of units on the battlefield. I cannot find the actual scale for the BattleForce minis. But this is why you will see the BattleForce miniatures cheaper than thier CBT 1:285 counterpart on Iron Wind Metals and other sources. This is an important detail to pay attention to. It should also be noted that only a small number of the units found in BattleTech are found in the smaller BattleForce scale, the majority of units are found in the CBT 1:285 scale. "A Time of War" is what has taken over the MechWarrior game, which is the RPG counter-part for Classic BattleTech. The RPG game is best summed up by the slogan on the cover of the MechWarrior Third Edition Rulebook "Get outa your mech and into the action!". With A Time of War you can latterly crawl out of your cockpits and and duke it out with the other pilot in hand-to hand combat. There is a whole lot more that can be done in the RPG side of things, and is a must for the highly detailed campaigns. You can also get a printable PDF version of the Record-Sheets that come with the BattleTech Introductory Boxed Set. I can speak for may CBT players out there when I say "It can be fun to play with the newer technology and advanced rules of BattleTech. But nothing compares to sitting down with the basic rules and having a 3025 slug-fest." You can also find some usable scans of counters at Sarna from the original BattleDroids Article. And PRI has some printable counters as well that can be used.